This is the latest issue of my 100 Doodles project. An art newsletter published maybe twice a week with small paintings and writing. 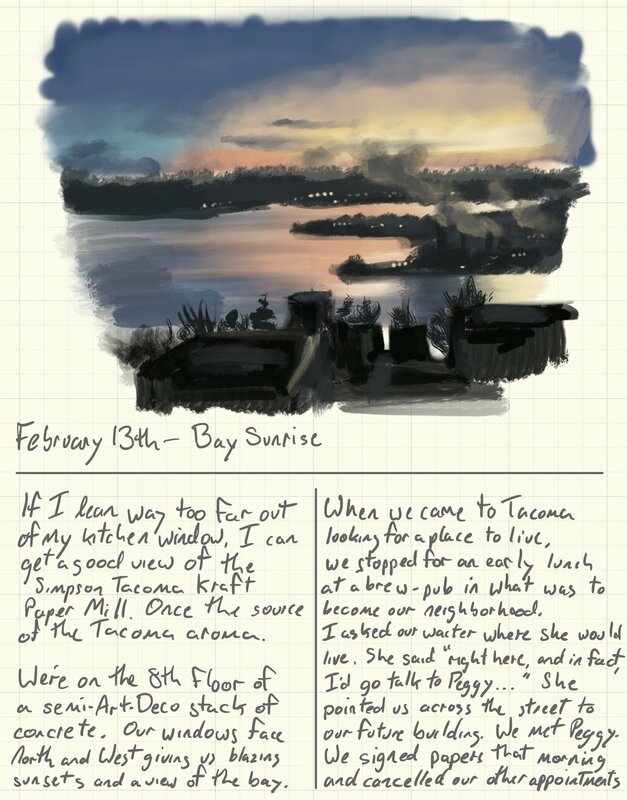 This issue talks about how we found our home in Tacoma and a view of the bay.